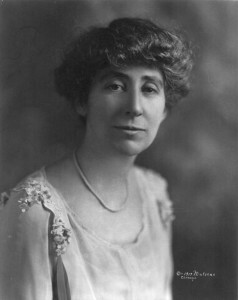 Rankin was elected the first woman member of Congress, serving as a representative from Montana from 1917 to 1919 and from 1941 to 1943. She was a feminist crusader and an absolute pacifist. In 1917, she was one of only 49 members to vote against the declaration of war against Germany (World War I) and in 1941 was the only member not to vote “yea” on the declaration against Japan (World War II). Posted on June 27, 2016 by Natalie. This entry was posted in Uncategorized. Bookmark the permalink.